If you’re an online shopper, you’ve probably heard that you can earn cash back on your online purchases. It’s a fantastic way to save money on anything from household necessities to clothing, and requires minimal time and effort. What then, are the best cash back sites to sign up for? Which ones are legitimate and reliable? Today I’ll be sharing my three favourite sites for earning cash back online. By using these sites, I’ve earned over $650 in cash back just from adding a few clicks to my shopping! But first, what’s a Cash Back Site? 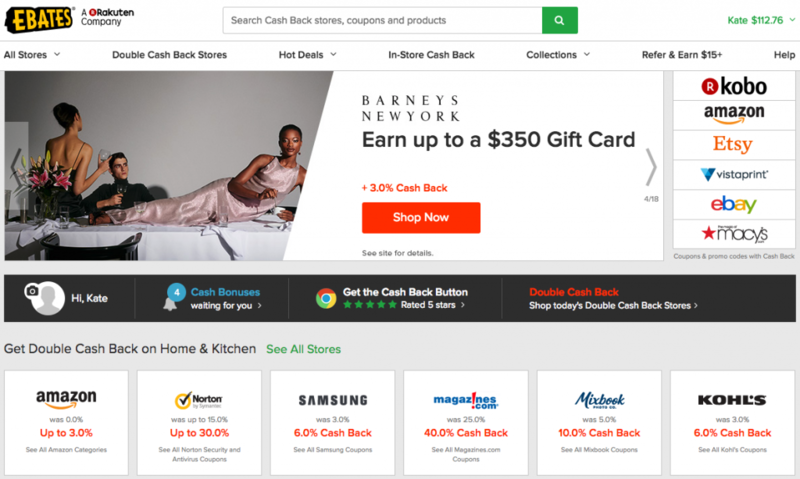 In short, cash back sites are websites that give you cash back on some of your online purchases. By shopping through their referral links, you can save money on many things you can buy online. And how do Cash Back Sites Work? The short explanation is that cash back sites receive a commission from the retailers you shop from, and then pass a portion of the commission on to you. 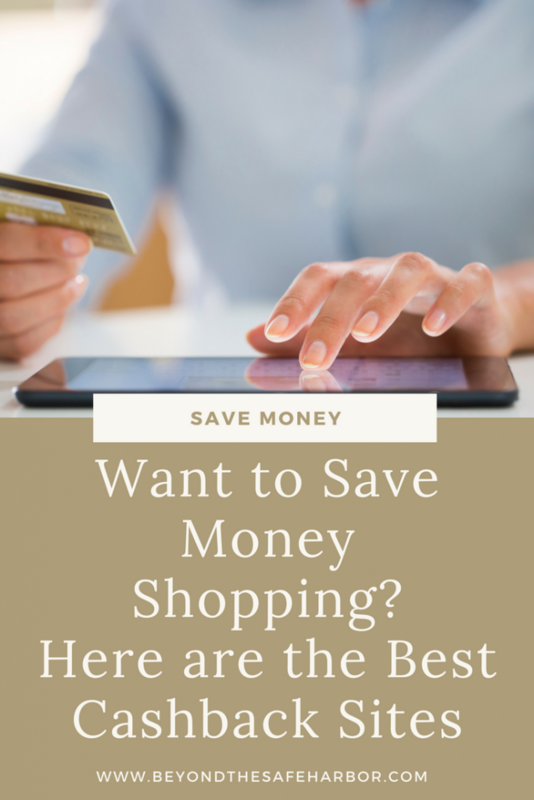 My post about how to save on online shopping by using cash back sites goes into more detail including some examples of how it works. Since I’m Canadian, I have accounts with my three favourite sites: Ebates.com, Ebates.ca, and Giving Assistant. All three will make payments to Canadians, and I like having the choice! I’d recommend signing up for all three as you can and finding the best cash back rates for each purchase. Ebates.com is the grandfather of cash back sites with a longstanding reputation. They offer discounts at tons of retailers, and often run special promotions and double cash back offers. What Cash Back Can I Expect? Note that these cash back amounts reflect regular rates at the time of writing this post and may change over time. Also, right now Ebates.com is offering a $10 sign-up bonus when you sign up through my link and make your first purchase of $25USD or more! Be sure to sign up here to get that deal. Ebates.ca is the Canadian version of Ebates.com. 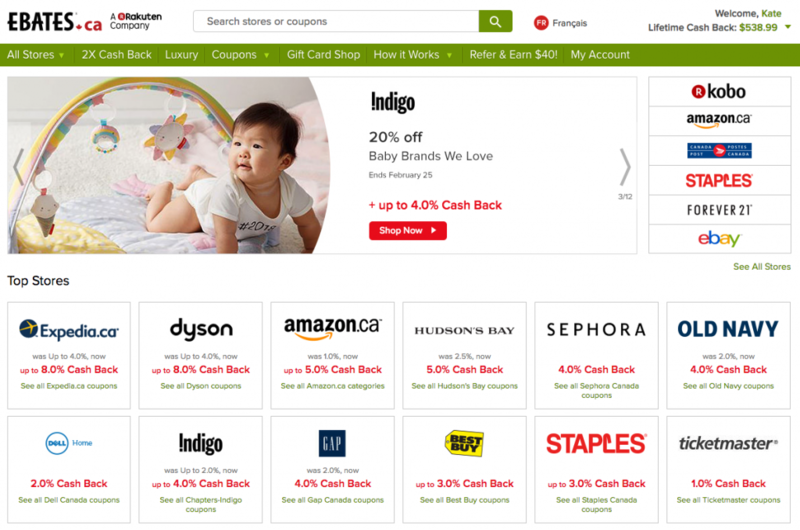 While it’s very similar to Ebates.com, it includes some Canadian websites that aren’t on the U.S. site, and also offers cash back in Canadian Dollars. Looking for more information about Ebates.com and Ebates.ca? My complete review has you covered including step-by-step screenshots of how it works. Read it here! 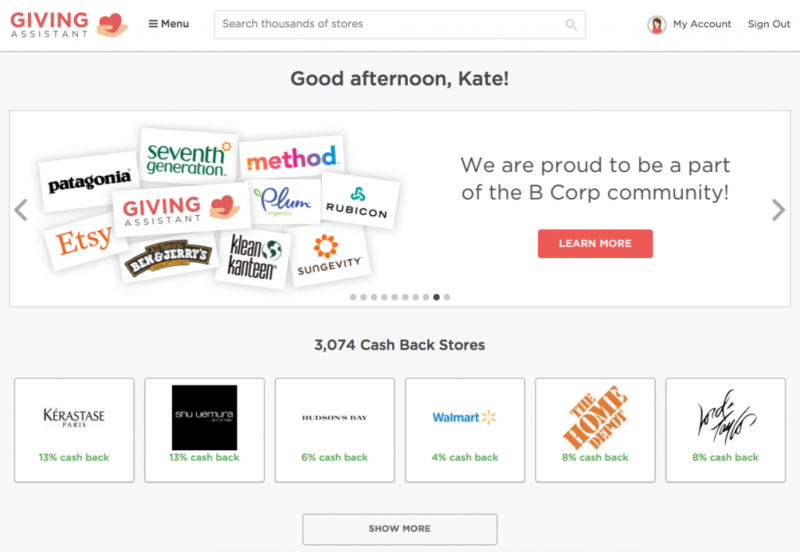 Like Ebates.ca and Ebates.com, Giving Assistant is a shopping rewards platform that offers shoppers cash back on many of their online purchases. What makes Giving Assistant different is that not only do they let shoppers receive cash back, but they make it easy for them to give back to charitable organizations that matter to them. Once you sign up, you’ll be able to adjust your payment option (under Cash Back Balance) as well as your charitable preferences (under Giving Balance). You can also choose your charitable organization and giving percentage. Keep it all, give it all, or go for a combination! Want more details on using Giving Assistant? Check out my detailed review of the site. Also, right now Giving Assistant is offering a $5USD bonus, just for signing up through my link! Be sure to sign up here to get that deal. In closing, you can see that cash cack sites are a great way to save money on your online purchases. Leave me a comment and let me know what your favourite online retailers are! What about GCR? Best one for Canadians in my opinion. Thanks for the suggestion, Jonathan! I had never heard of them before but will definitely check them out 🙂 Have a great weekend!